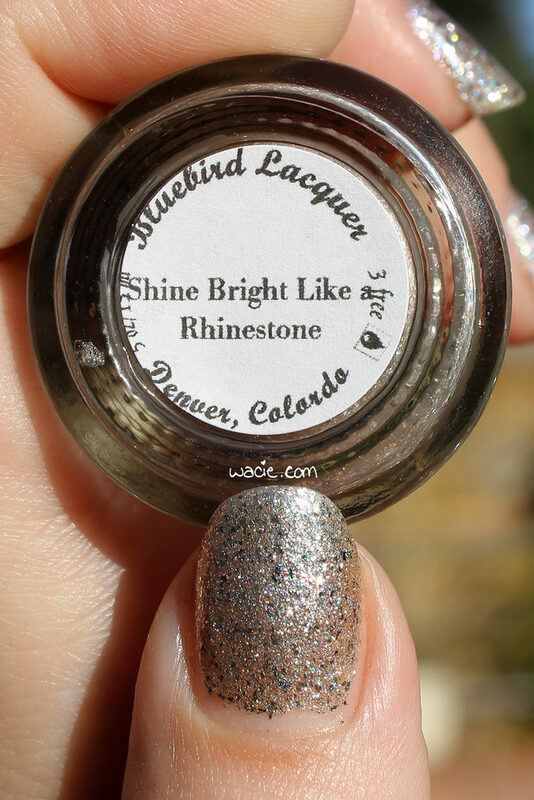 This entry was posted in Swatch Saturday and tagged Bluebird Lacquer, glitter, indie, shifter, silver, swatch. What a striking polish. I can’t go to the shows but I’d love to buy from them. I was thinking that your polish was similar to one that I have from Orly, I think it is, but then I saw the purple shift – wow, so unexpected! It’s so sparkly! I think it is a gorgeous polish for winter, especially for snowy sunny days. Sparkly and sassy! It’s really nice! OOoo! The change in the lighting makes it so neat! I’m so stoked about all the stops that The Indie Shop is making… ESPECIALLY San Antonio of course. I want to actually make a TRIP out of it this time and enjoy myself. Love your swatches always! 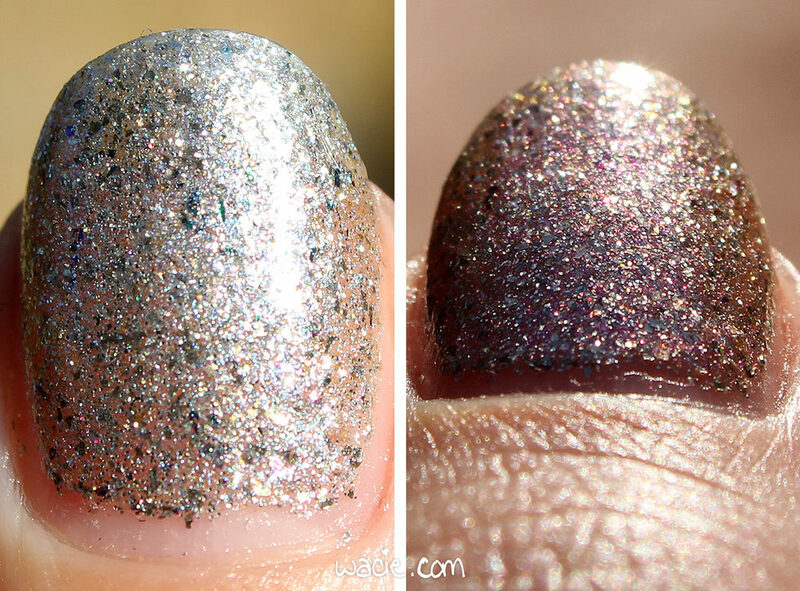 Looooove how sparkly this beauty is! I love that rosy shift! Lou can do no wrong! SO pretty!